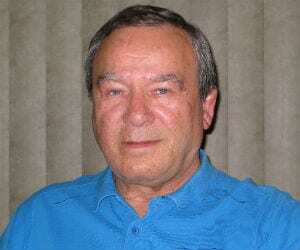 Alex Zephyr, Author at Breaking Israel News | Latest News. Biblical Perspective. The Almighty foretold to the Israelites: “If you do not drive out inhabitants of the land, those you allow to remain will be like splinters in your eyes and thorns in your sides. The greatest prophecy of the Bible is the fulfilment of the final ingathering and redemption of the nations of Judah and Israel in the latter years with advent of the Messiah. I am convinced that the Messianic World is an integral part and continuation of this physical world and is limited in time and space and will not last forever! A disaster of epic biblical proportions will finally arrive in the Middle East, causing a nuclear holocaust and humanitarian crisis of unseen dimensions. Don’t those rabbis know that speculations, rumors, signs, and calculations of the exact timing of the Messiah’s coming are strongly forbidden in Judaism? Ignoring the plain words of God’s true prophets and even twisting the meaning of the prophecy is no less than sacrilege. Sadly, most people do not understand the difference between the people of Judah and the people of Israel. “It is not possible to say, ‘I am a Christian’ and not love the Jewish people,” Hagee stated. True Zionism is based on Torah and justified by it! Solomon did not mention any prohibitions or oaths in his divinely inspired speech, nothing concerning rules and conditions of the exile. Two Orthodox Jewish organizations have accepted the Three Oaths literally as Jewish law and use them in an ideological fight against the Zionists. This situation is clearly the work of God and His essential divine plan for the future. [BLOG] Will Diasporic Jews Return to the Land of Israel or Remain in their Countries of Exile? The answer to this complicated question has given rise to lots of conflicting opinions. [BLOG] Will the Whole House of Israel Return to the Holy Land? Who are the people of the whole House of Israel? Where are the Israelites now?